Patty pan. The name itself brings smile on my face. I love to say it again and again. Perhaps it sounds a little similar from a nursery rhyme. Resembling a flying saucer, this beautiful summer squash reminds me of toy tops that some of us remember from our childhood. I do. It was fun playing with them. 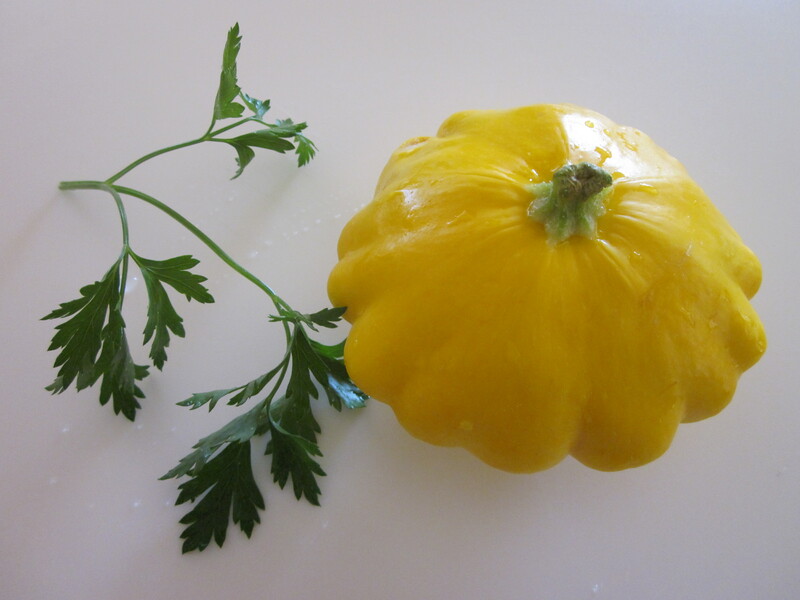 Scalloped edges and sunshine yellow color gives this squash a special charm. 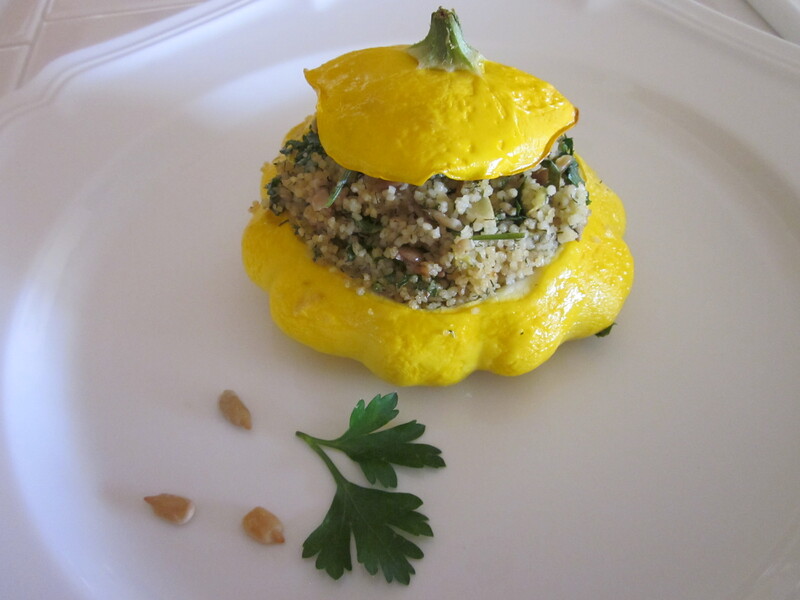 It’s a perfect example of the saying, ” We eat with our eyes first.” Patty pans are ideal to create something elegant to impress your guests, or something simple on a busy day. 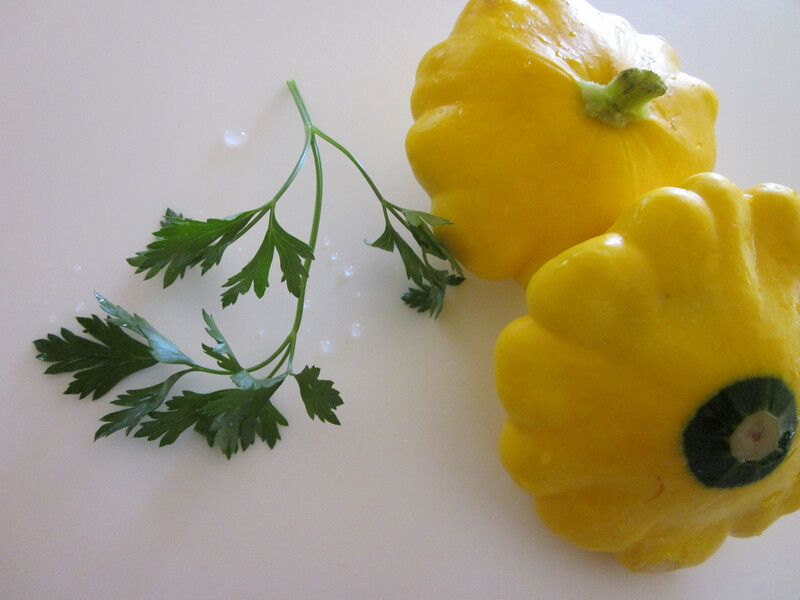 Patty pan is also known as scalloped squash and custard squash. Buttery, tender, and eye catching, it is available in green and white varieties too. 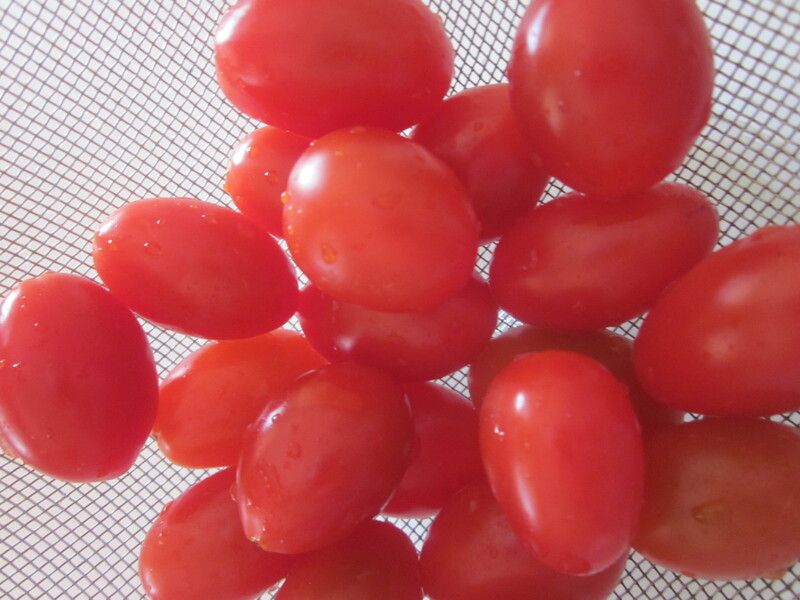 Its health benefits along with its beautiful appearance makes it a perfect candidate for a good looking healthy meal. Walking through farmers markets these days, and enjoying the farm fresh produce has been an absolute delight. Summer squashes are everywhere, and they are hard to miss. Different colors and shapes — some familiar and some new. 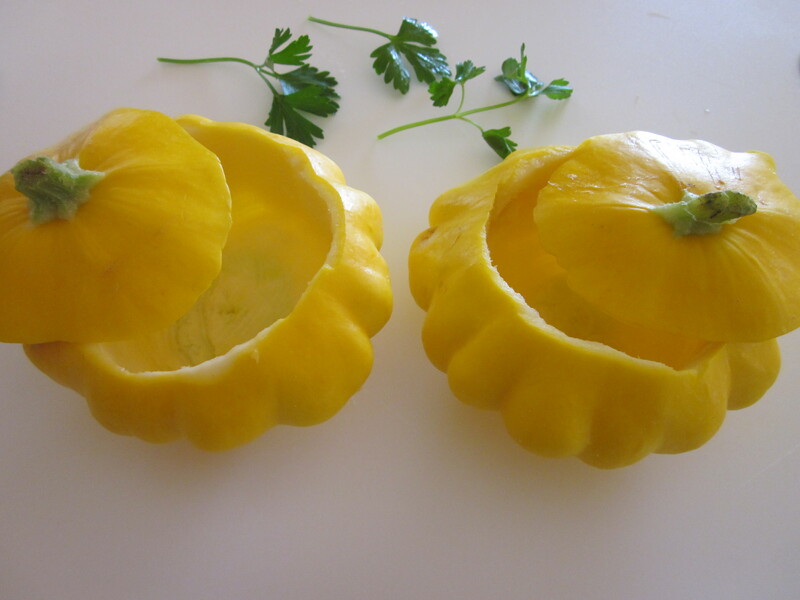 On my recent visit, I fell in love with these patty pans. I think they are a beautiful work of art from Mother Nature! 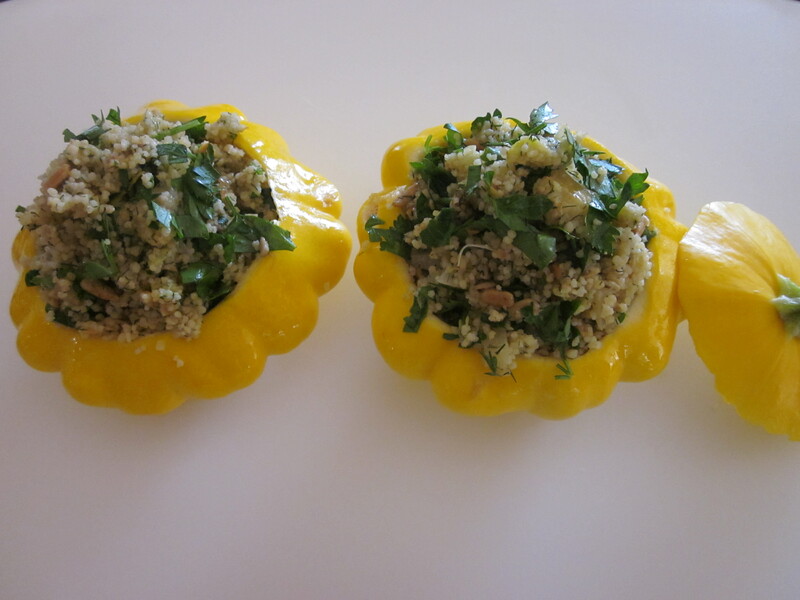 These stuffed patty pans are great as a starter or side. You can serve two (or more) with some salad to complete a meal. I stuffed them with whole wheat couscous, preserved lemon, garbanzo beans, parsley, dill, mint, and some sunflower seeds. You could also add some feta cheese. 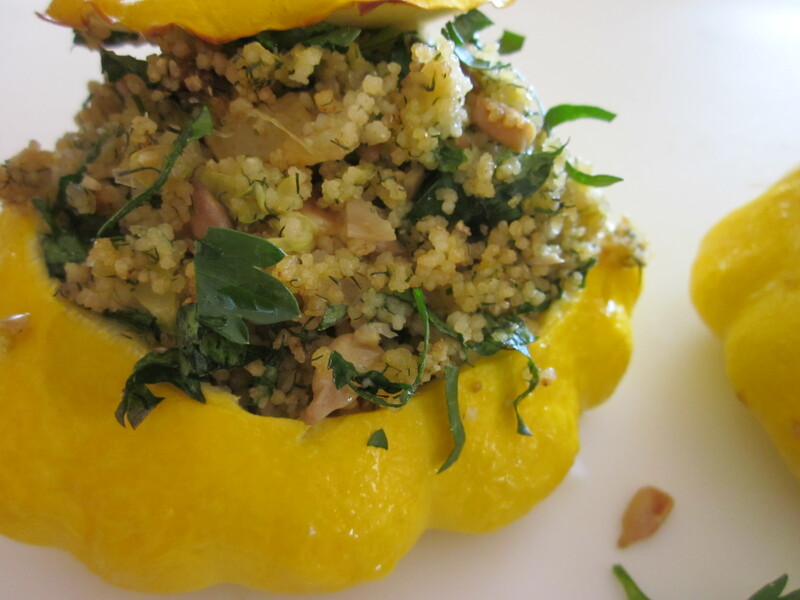 Stuffed or not, the filling is delicious and very summery with herbs and lemon. A little crunch from sunflower seeds add texture. If you don’t have preserved lemon, use lemon juice to taste instead, or a couple olives (green or Kalamata) will work too giving that extra zing. Cut the tops of the patty pans and scoop out the flesh. Chop the flesh and set aside. Rub a little olive oil inside and outside the patty pans. Heat 1 tablespoon olive oil in a pan, and add chopped flesh of the squash. Cook for 2-3 minutes. Add garbanzo beans, garlic, salt and pepper. Cook for a few seconds. Stir in the cooked couscous. Drizzle 1 tablespoon of olive oil over couscous. Remove from heat. Mix in all the other ingredients. Adjust salt and pepper to taste. Heat oven at 350 F. Fill the patty pans with the stuffing mix. Place their lids on top. Add a little water at the bottom of the dish. Bake for 15 -17 minutes or until patty pans are cooked through. Serve with salad or as a starter. Green pastures, healthy cows, and luscious cheese! I am talking about the beautiful Yorkshire of England where Wensleydale cheese comes from. Click on the link to view a video. Recently, I received a wedge of this cheese from a friend. The real deal from Yorkshire! Studded with cranberries, it smelled sweet and cheesy, of course. It brought back memories of my visit to England a couple years ago where I indulged in it wholeheartedly. It has crumbly texture and is mild, creamy, and slightly sweet. Eaten fairly young within weeks, flavors get complex as it ages. It does take center stage on any cheeseboard, but goes wonderfully well with fruits and hot desserts like fruit pies and crumbles as well. After a few trips to the fridge and couple nibbles, I had to make something with it. The simplest thing to make was these cheesy bites with the ingredients on hand in my pantry. 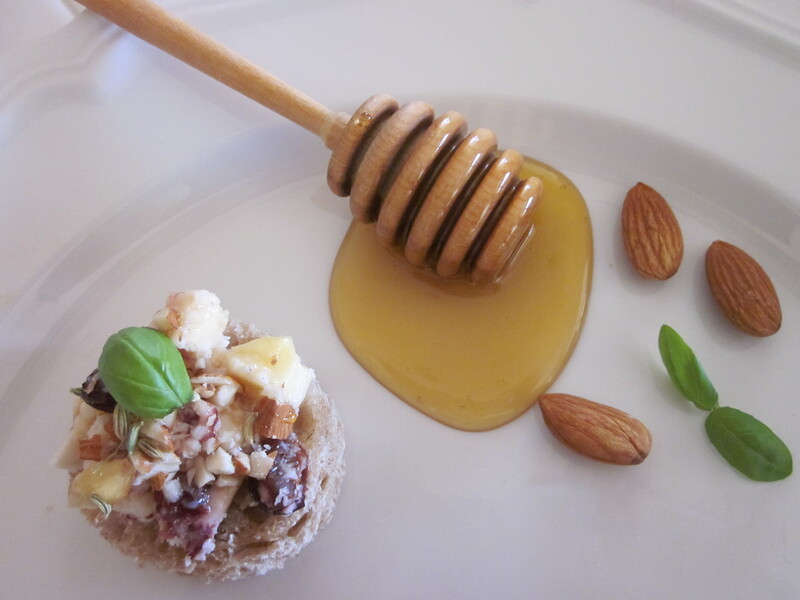 I happened to have some Cornish sea salt and English honey as well bringing a true taste of England in my kitchen. I think all the elements of this recipe came together well complimenting each other. These cheesy bites are really easy with very little preparation. I kept them simple and rustic. You could toast the bread, if you wish. 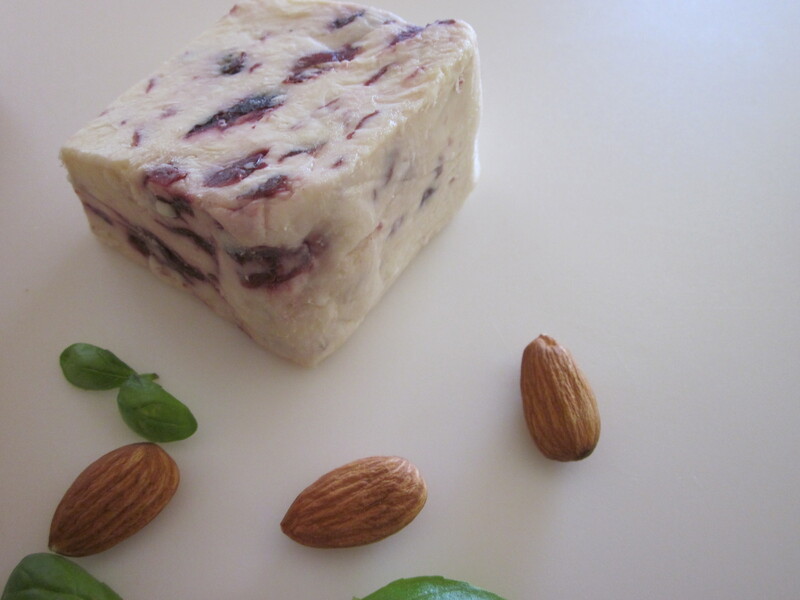 I think this creamy cheese goes well with almonds and honey. A few fennel seeds made it even more interesting. But basil pleasantly surprised me. 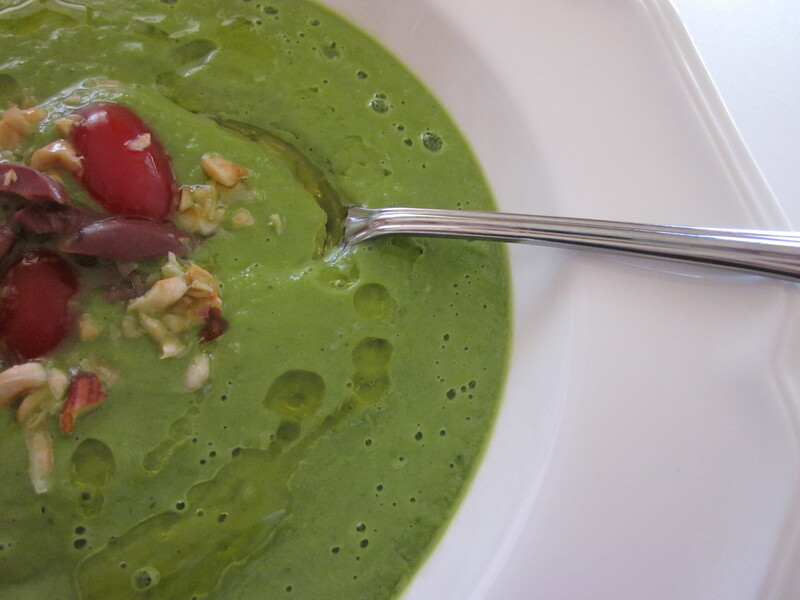 When taste buds were experiencing creamy, nutty, sweet, fragrant, and salty notes, basil finished this tasty treat with a punch of freshness in my mouth. More like a palate cleanser before I was ready for another one. A perfect snack with a cup of tea. Cut bread slices into desired shapes. 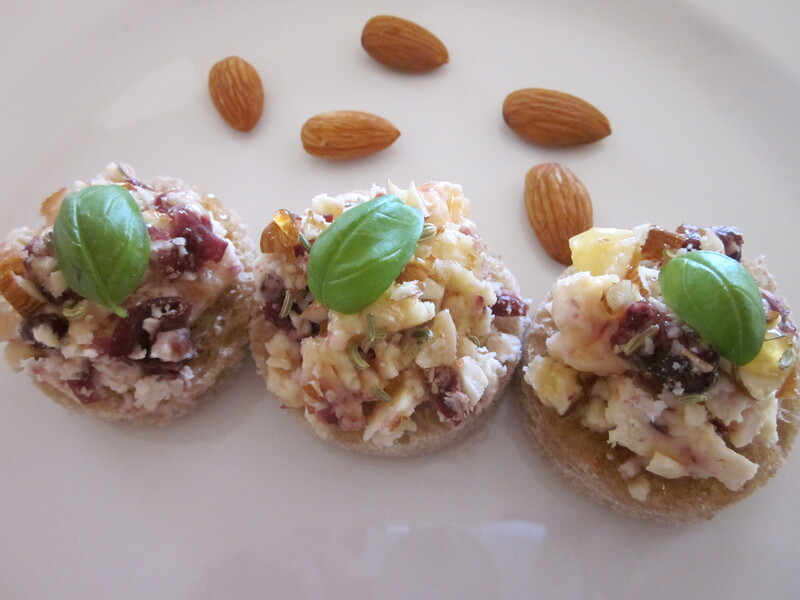 Layer with chunks of cheese and almonds. Sprinkle a few fennel seeds, and drizzle honey on top. Finish with a pinch of sea salt and basil. 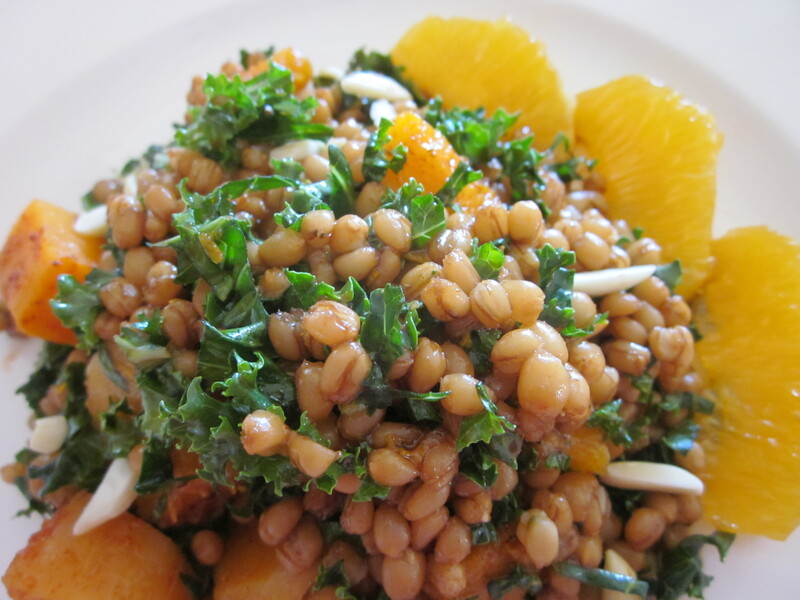 Wheat berry, butternut squash, and kale — three very nutritious ingredients are the foundation of this salad. I think they go well together and create a wonderful symphony of taste and texture. Wheat berries, a true whole grain, are sturdy kernels that are ground to get wheat flour. These kernels hold their shape well when cooked. Chewy, nutty, and earthy, they are loaded with nutrients. Even though they take some time to cook, they are well worth the wait. You can cook extra and store in the fridge for 3-4 days to use later in different recipes. It’s always a bonus to have some component of a recipe ready to use. It just makes our lives easier. Wheat berries are a great addition to hearty soups and stews or satisfying salads and sides. 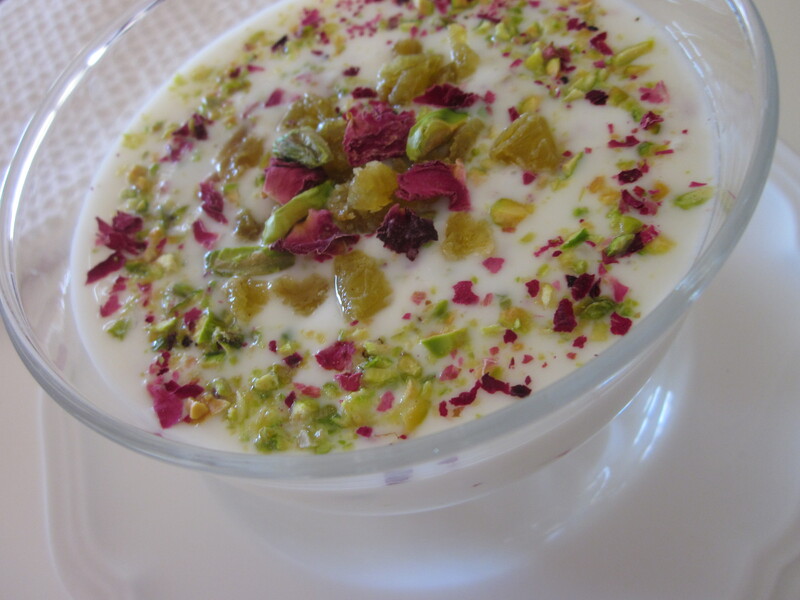 And if you have sweet cravings, enjoy them with milk/cream, and honey with your favorite berries, dried fruits and nuts. Not bad. A bowl of cooked grains can find its way to a happy heart. 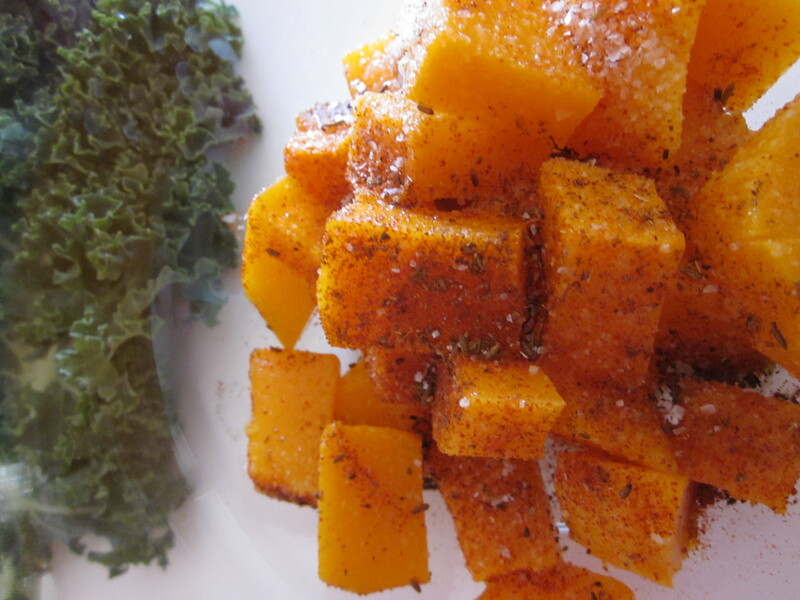 Butternut Squash, a power food, is a perfect addition to a wholesome meal. It provides several health benefits. Did you know that butternut squash is a fruit? Its seeds and skin are edible too. It is a winter squash that is available year round. My temptation to buy a winter squash among so many spring vegetables…… a perfectly shaped petite squash. Its graceful shape and size caught my attention. Small and easy to handle. I couldn’t ignore it. My favorite method of cooking butternut squash is to roast it. Roasting intensifies its sweetness and brightens its color. Most of all oven does the work. Cut it in half lengthwise and place it in the oven on a sheet pan cut side down and roast until fork tender. It saves the hassle of peeling the thick skin of the squash. Once roasted, scoop out the flesh or peel the skin. It keeps well in the fridge for 3-4 days as well. It’s a little reminder of winter on a crisp spring day! 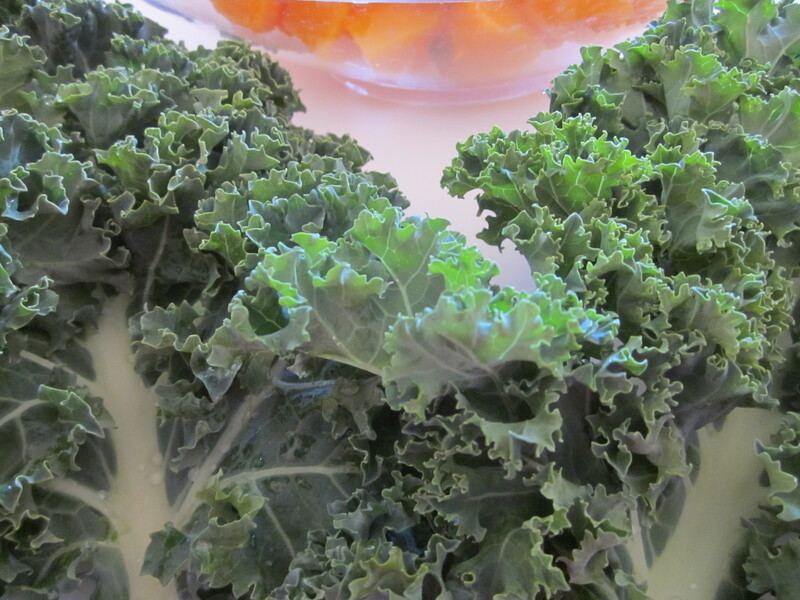 Kale, an ancient green, is like a popular star in town these days. A healthy one. It’s followed by its fans everywhere. It is tucked with pride on produce shelves, juice bars, and salad bars. Delicately packaged kale chips are visible at store fronts making their presence noticeable. And there are so many flavors of these paper thin chips to choose from. More choices to make among many other. 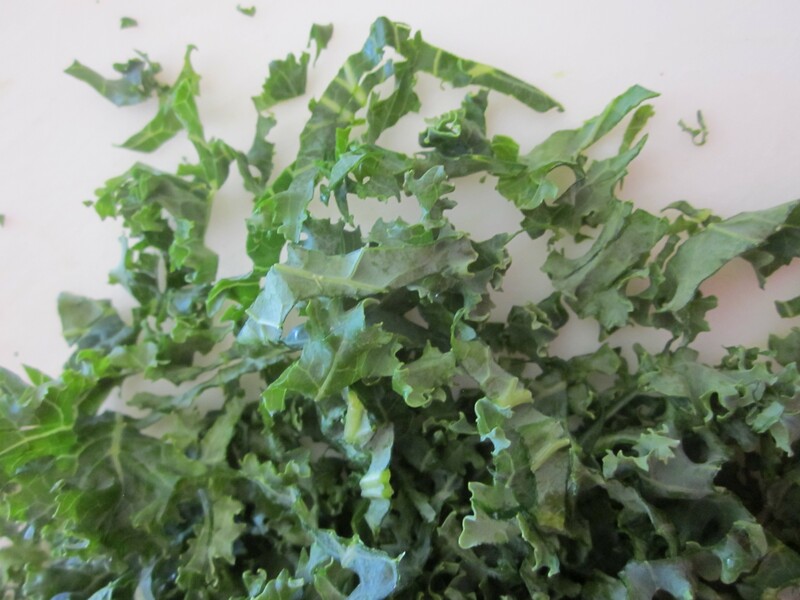 When buying kale, look for tender leaves to use in salads. Remove the center stem which tends to be tough. We hear about massaging kale in salads. For this salad, it is not needed. Just remove the tough stem, stack and roll the soft leaves and cut thinly (chiffonade) like ribbons. One thing in common with all three ingredients is that they all provide good amount of fiber. Excellent for our hearts and colon along with other benefits. Put all the ingredients for dressing in a screw top jar and shake to mix well. Set aside. 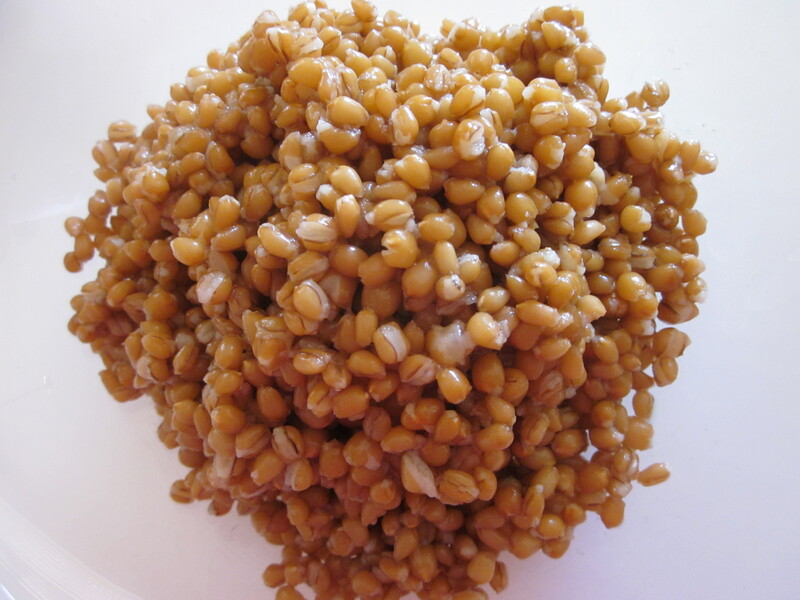 Wash and rinse 1 cup of wheat berries and cook in 3-4 cups of water for 50-55 minutes or until done. While the wheat berries are cooking, cut the butternut squash in half lengthwise. Scoop the seeds out. Place it cut side down on a lightly oiled sheet pan. Roast at 400 degrees for 20-25 minutes or until fork tender. Let it cool a little. Cut into small dice. Season with sea salt, a pinch of cumin, paprika, and red pepper flakes, if you like heat. Strain cooked wheat berries and let them cool for 10-12 minutes. Add kale and the dressing and mix well. Mix in butternut squash and combine gently. Keep in the fridge for an hour for the flavors to blend. To serve, mix in slivered almonds, and arrange orange segments on the side. Note: Cooking time for wheat berries may vary depending on the variety, hard or soft. Check the package for cooking directions. One cup raw wheat berries makes approximately 2 1/2-3 cups cooked. This salad tastes good the next day also. Make some extra if you have more cooked wheat berries and squash than the recipe asks. Just adjust the seasonings to your taste. Spring is in full swing now. Longer days and bright sunshine are energizing our bodies and minds. It’s a time when farmers markets are showing up again after a short winter break. Sights of fresh herbs, spring vegetables, and fruits make us think about treating ourselves with healthy meals. Don’t you agree? Some of us, like me, bring home bags full of treats from farmers market, and then sometimes wonder what to do with them. 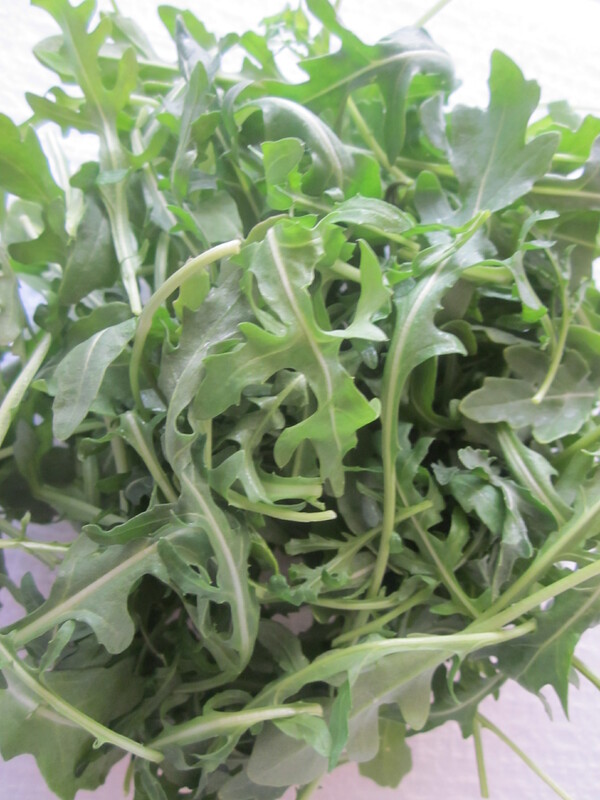 In this case, it’s a lot of arugula that accompanied me home. Fresh, tender, and gorgeously green! Leaving it behind didn’t seem right. But now what? 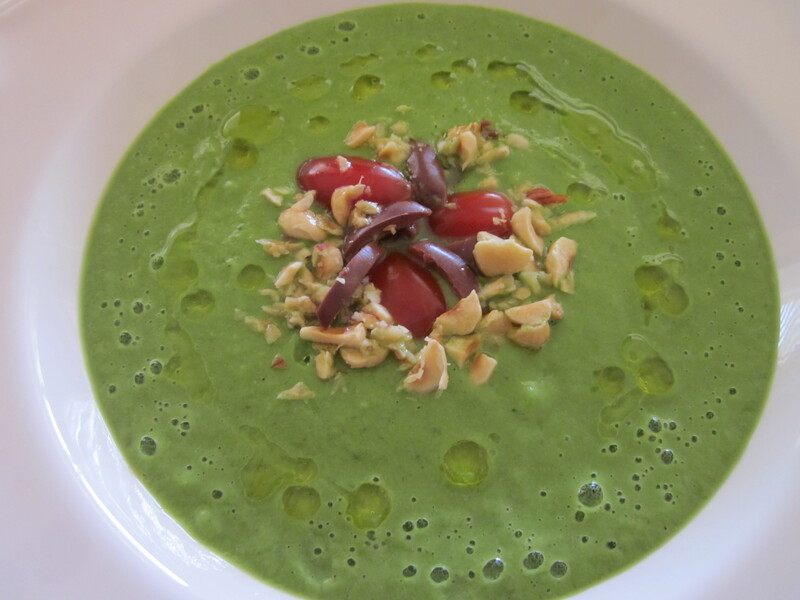 After a couple days of enjoying it in salads, I decided to make cold arugula soup. 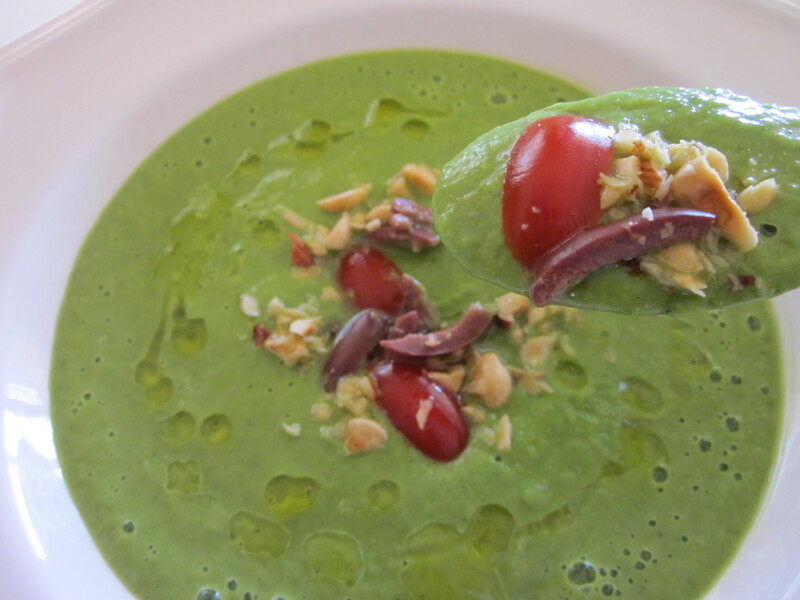 Still a salad but pureed into a creamy fluid! All the ingredients that are used in a salad are put in a blender to combine. I call it a liquid salad with bubbles! It was fun pouring the soup in the bowl when all the bubbles moved towards the rim. Don’t we love such playful moments? They bring out our inner child. Smooth and lemony, this cold soup is perfect for lunch with your favorite sandwich. Creamy avocado softens the peppery taste of arugula, crisp texture of cucumber, and lemon ties all the other flavors together. 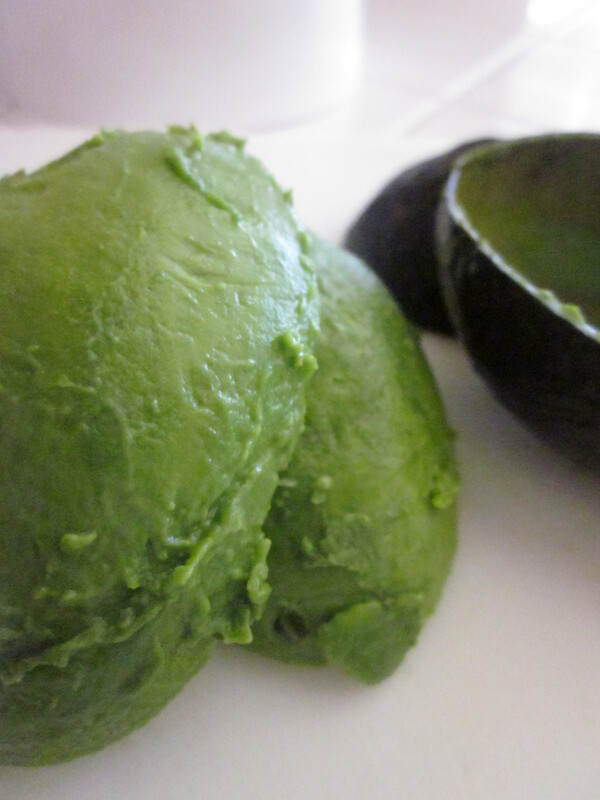 It has beautiful green color and is full of goodness from raw vegetables. Also, perfect for vegan diet! 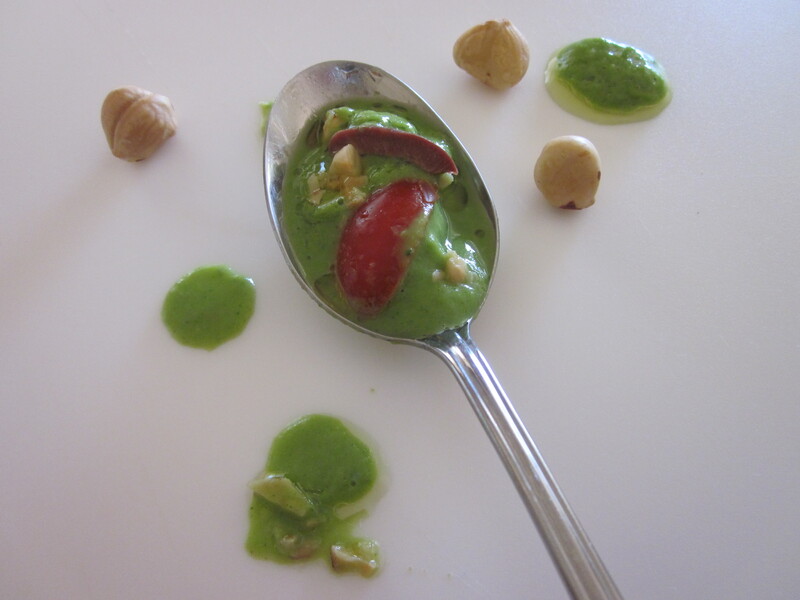 In a blender, pulse garlic a couple times. Add water, cucumber, arugula, and puree until coarsely chopped. Add rest of the ingredients and puree until creamy. If it is too thick, add a little more water. Adjust lemon, salt and pepper to taste. Chill in the fridge for 30 minutes or more. 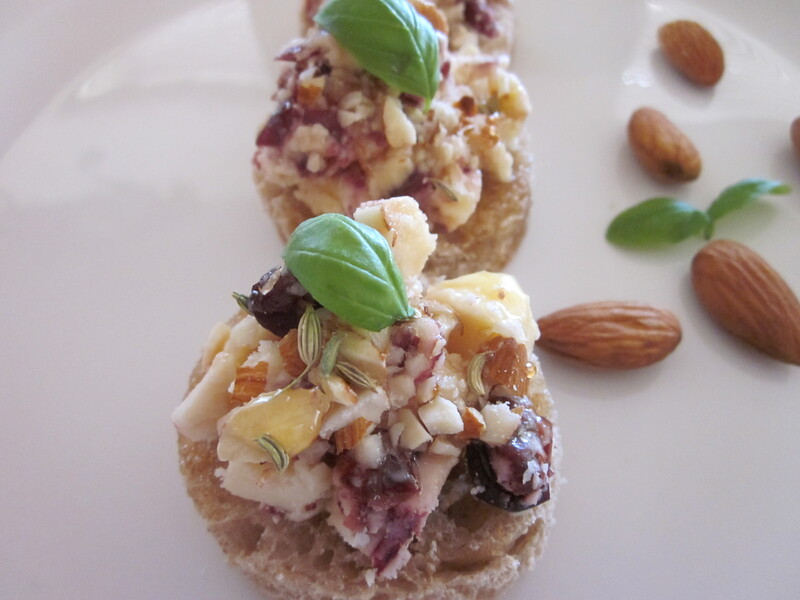 Serve garnished with hazelnuts, Kalamata olives, and cherry tomatoes. Drizzle a little olive oil on top. I am an orange, but I am pink. It caught my attention on a bag of oranges. Last week when I walked in my grocery store, these oranges were stacked high at the entrance. With curiosity, I picked one bag that said, California specialty, Cara Cara Navel Oranges. Is it sweet or is it tangy? Getting home, I washed and cut an orange. And indeed it was a pink orange. Beautiful glossy pink. And it tasted sweet……sweeter than other oranges. Juicy, sweet, and pink! I tasted my first Cara Cara Orange. Cara Cara oranges were first discovered in 1976 at Hacienda Cara Cara in Venezuela. I guess, that’s where they get their name from. Now they are grown in California as well. They are a variety of navel oranges that is a cross between the Washington and Brazilian Bahia navel oranges. These beautiful oranges have rosy-pinkish flesh to deep red depending on the fruit. They are low in acid and quite sweet and juicy. Their season is limited from December to March-April. So go ahead and enjoy them if they are available in your area while they last. 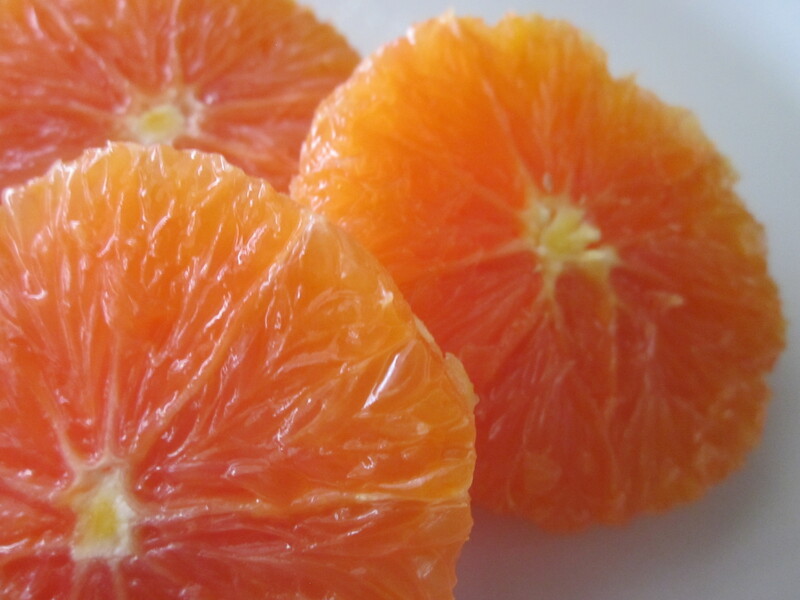 These oranges are delicious on their own as a snack or in a simple salad. Juice them for a healthy drink. If you like granola or yogurt, Cara Cara oranges are good to pair with. Jam, jellies, and syrups are always an option for those who have sweet tooth. Have you had Cara Cara oranges? 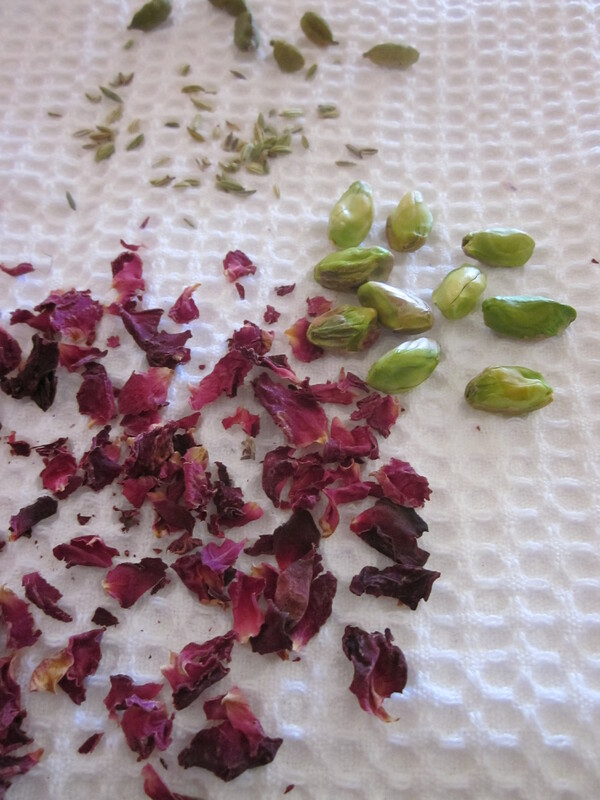 Sweet spices like cardamom and fennel, rose petals and rose water, pistachios and golden raisins! I am loving it already. Flavors and scents I can taste and sense! They are very close to my heart. I grew up around them, or I can say they were often around me. Cardamom and fennel used in sweet and savory dishes perfumed our kitchen with their intoxicating aroma. Rice pudding, pilaf, spiced tea, rich sauces, and several sweets are just a few to name. Rose petals and rose water to greet guests on special occasions, or simply to flavor sweets and drinks, made every experience memorable. 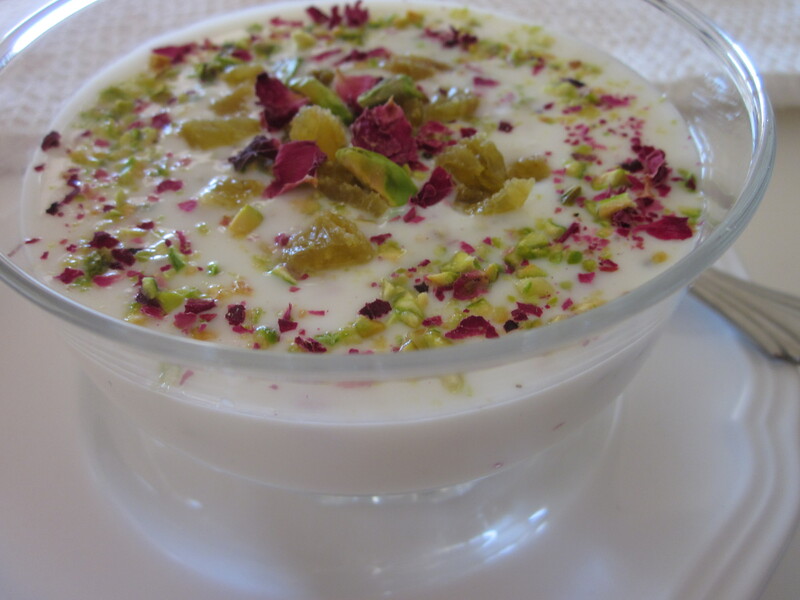 Nuts and dried fruits in creamy sauces or in decadent desserts made food taste delicious. I cherish these scents and flavors. We all do, whatever is close to our hearts. This recipe has the flavors and scents of all these ingredients combined with yogurt. It is light and healthy with all the goodness of taste and texture. Enjoy it for breakfast or dessert. It is an absolute fragrant delight. If you are using Greek yogurt, it is just a matter of combining all the ingredients and letting the flavors infuse a little. Cardamom, fennel, and rose water are sweet flavors, but a little goes a long way. Too much can be overpowering. If using regular yogurt, set it in a colander lined with coffee filter or muslin cloth to drain excess water for about 30 minutes. 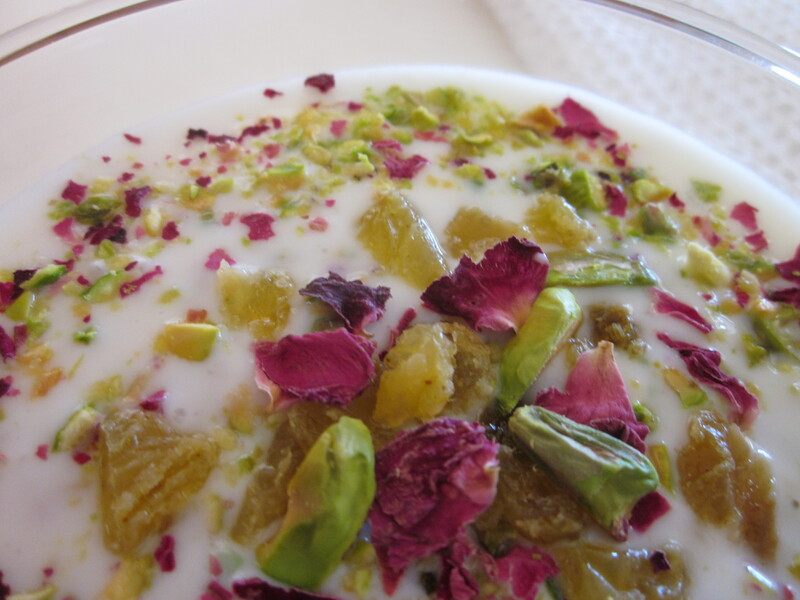 Mix yogurt, cardamom, fennel, rose petals, rose water, honey gently. Set aside in the fridge for 25-30 minutes for flavors to infuse. 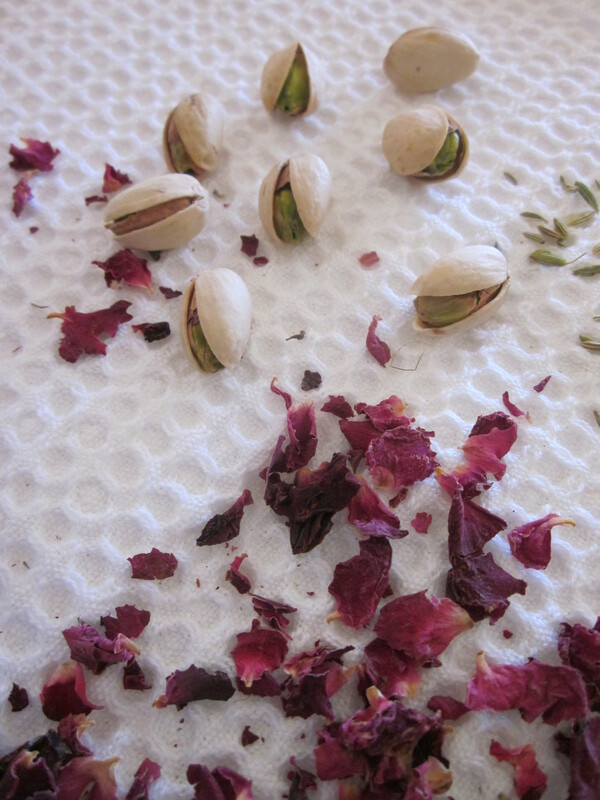 When ready to serve, transfer in serving bowls and garnish with reserved pistachios and rose petals. Finish with golden raisins. I hope you enjoy it like I did. I have been seeing heaps of avocados in stores at this time. And the temptation is hard to resist when abundance is combined with low price. Their creamy texture and health benefits become an excuse to put a couple in my basket. 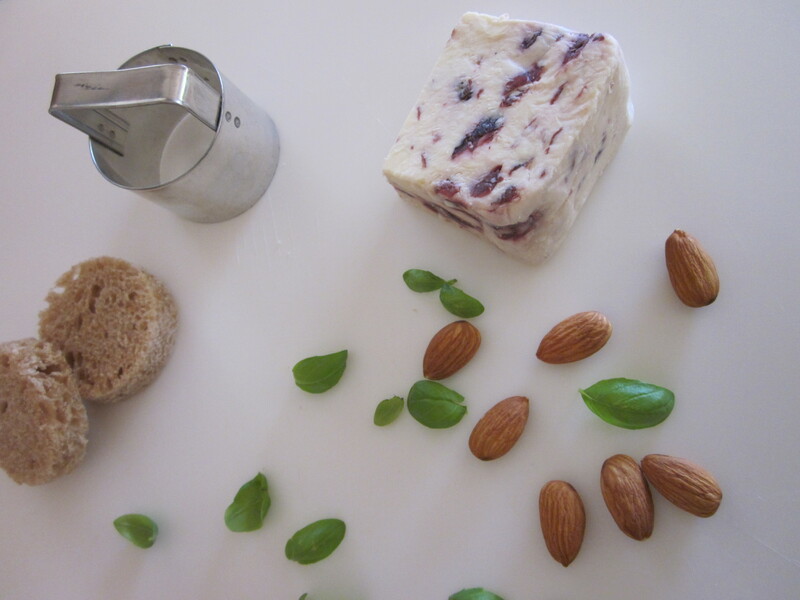 Sometimes it is better to leave ingredients in their natural state…..fresh and colorful. I think avocados and tomatoes are very good examples. They taste best in their raw form. 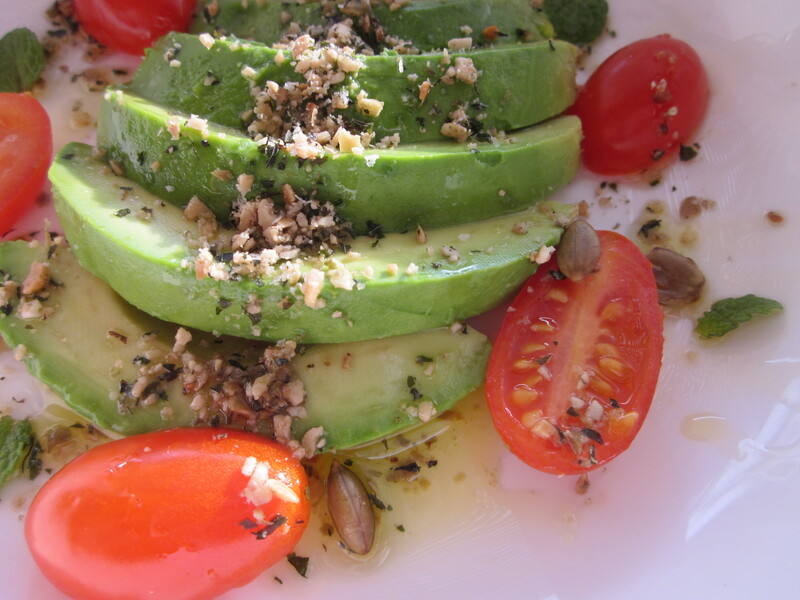 Creamy avocados and juicy tomatoes and a few things to dress them. That’s what I did in this recipe. A mix of coarsely crushed pepitas, dried mint, and sea salt is the star. Also, good Spanish olive oil and lemon juice make this refreshing and very simple salad a breeze to prepare. You could also dice avocados and tomatoes. Mix them with lemon juice and make as a salsa or spread on toast with a drizzle of olive oil and a sprinkle of pepita mint salt. 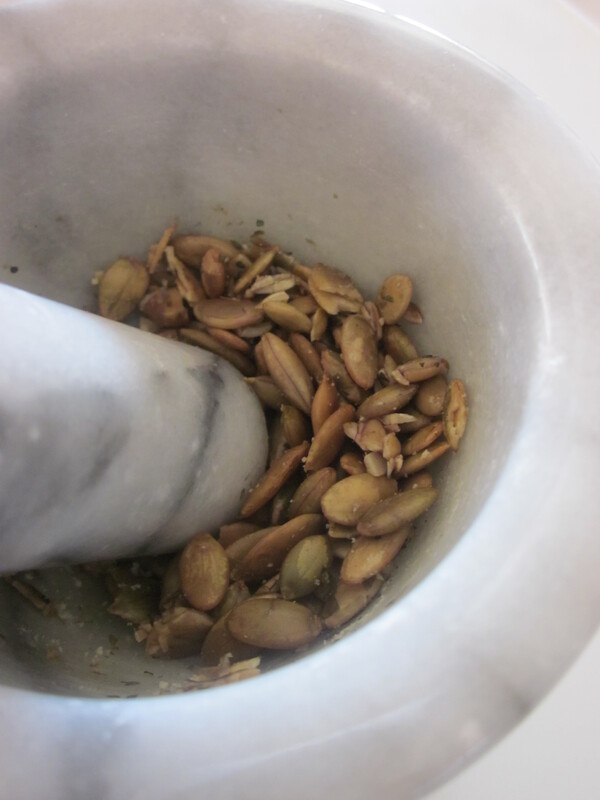 Grind pepita seeds to a coarse texture. 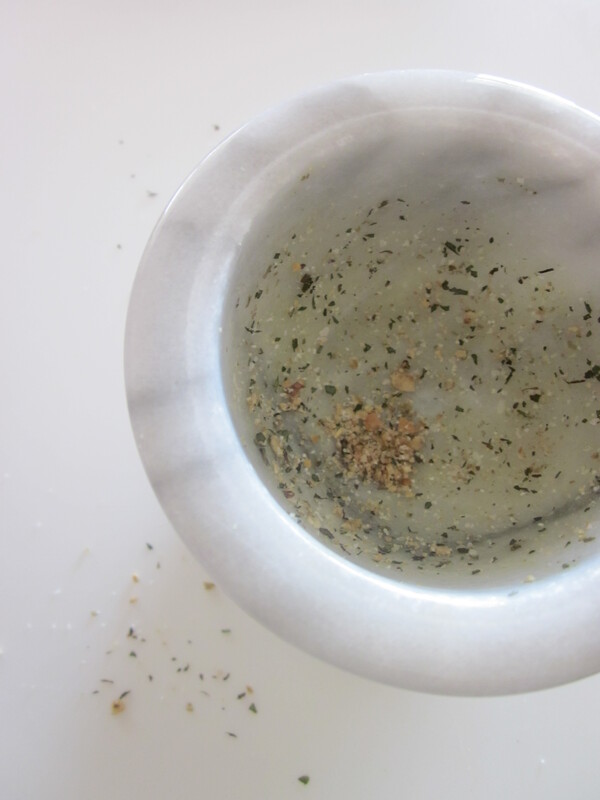 You can use mortar and pestle or a spice grinder. 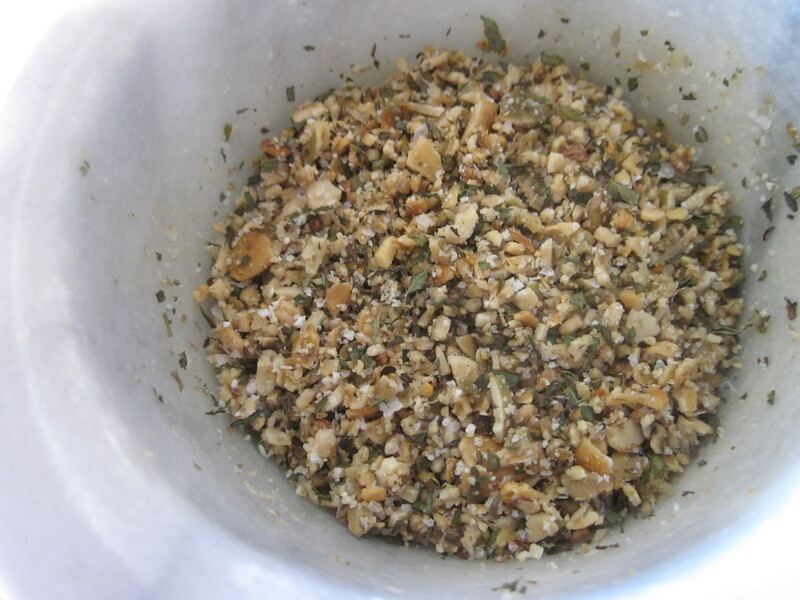 Add salt and dried mint and mix well. Set aside. 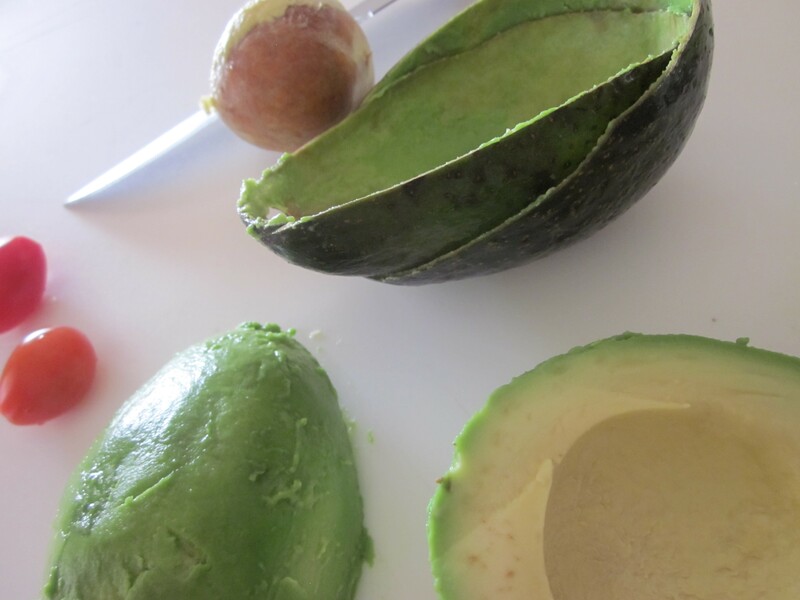 Arrange sliced avocado and tomatoes in a plate. Squeeze lemon juice and drizzle olive oil on it. Sprinkle salt mixture to taste. 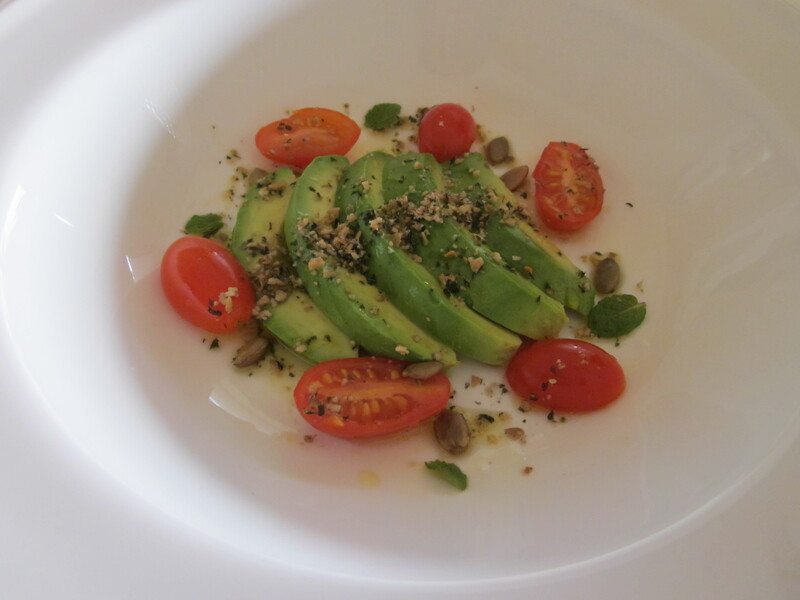 Garnish with a few pepita seeds and mint leaves. Note: Use salt mix, lemon juice, and olive oil to your taste. Store leftover salt mix in an airtight container.